The governor of Kansas is demanding the resignation of a white county commissioner who claimed he was “part of the master race” when talking to an African-American consultant during a public meeting last week. Gov. Jeff Colyer is asking Louis Klemp, chairman of the Leavenworth County Board of Commissioners, to step down following his “inappropriate remarks” made during a public meeting on Nov. 13. 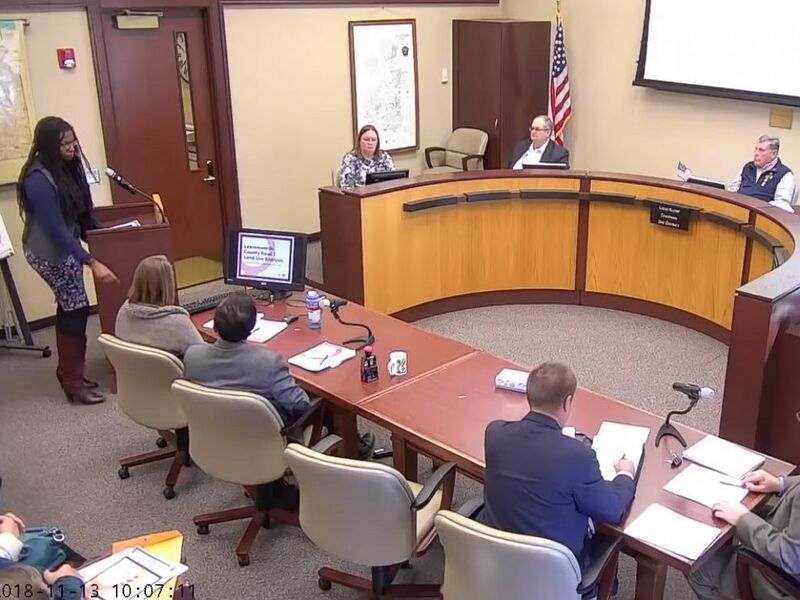 Louis Klemp, a member of Leavenworth County Board of Commissioners, is coming under fire for using the term “master race” when talking to a black consultant during a meeting on Nov. 13, 2018, in Leavenworth, Kansas. During a public meeting on Tuesday, Triveece Penelton, a consultant for VIREO Planning Associates in Kansas City, was making a presentation to the board of commissioners about community engagement on a potential development of rural land in Tonganoxie, Kansas. In a video of the meeting, posted on the Leavenworth County Board of Commissioners’ YouTube channel, Klemp expressed his displeasure with a plan to develop the land as residential. He said he favored an industrial development that would return revenue to the county. Klemp did not explain what he meant by the comment. The term “master race” stems from Nazi terminology, often describing Adolf Hitler’s belief in a superior Aryan race. Klemp did not respond to requests for comment Sunday from ABC News. Penelton also could not be reached for comment on Sunday. Leavenworth County Administrator Mark Loughry issued a statement defending Klemp, saying the commissioner was referring to a gap in his own teeth and noting that Penelton had a similar gap. But Robert Holland, one of Klemp’s colleagues on the commission, said Klemp needs to be disciplined. Holland said he is considering a motion to remove Klemp, whose term on the board runs through Jan. 15, from being chairman of the board. Meanwhile, the Leavenworth City Commission held a special meeting on Thursday and issued a statement condemning Klemp’s remark and asked that he apologize and step down.